Scientists, writers, environmentalists and photographers capture the wonder of this ancient forest. 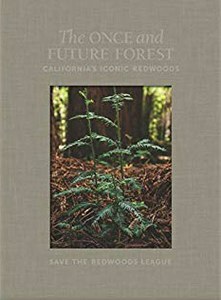 As part of its centennial celebration, the Save the Redwoods League has released The Once and Future Forest: California’s Iconic Redwoods, a lavishly produced volume that highlights the ways people have identified with these national treasures over the years. The book features five essays by scientists, writers and environmentalists who are passionate about the forest’s preservation, together with over 175 full-color images. Described as a “true wonder of the world,” by Sam Hodder, the organization’s CEO, the forest’s grandeur spills out of the pages through the accompanying photography, paintings and maps, which bring to life the mystical beauty of the tallest trees on earth. Save the Redwoods League, introduction by Sam Hodder. Email HCN at [email protected] or submit a letter to the editor.